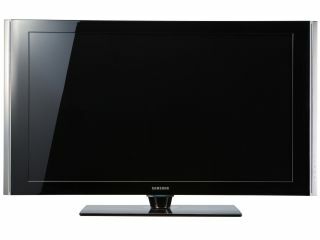 Samsung has announced two new lines of TVs at IFA in Berlin. The F8 series (available in 40 and 46-inch models) includes the 100Hz MotionPLUS technology which enhances fast moving motion pictures by eliminating blur. The F8s deliver a high dynamic contrast ratio of 25,000:1, with resolutions almost two times sharper to those of conventional HD TVs (resolution 1920 x 1080). Both sizes have three HDMI ports. The F9 range (52 and 70-inch) each feature Samsung's new LED SmartLighting technology also known as "local dimming", which involves multiple LED backlight units. The TV intuitively senses the TV signal and adjusts the brightness by turning on and off the right combination of the backlight units to produce a contrast ratio of 500,000 to 1. Samsung added that it has achieved new levels of low power usage, with a 30 per cent reduction on previous models. The new models will be available during September.